It’s the second generation of the Korean compact SUV that has already sold 30, 000 in Britain and 220, 000 in Europe since its launch in 2010. 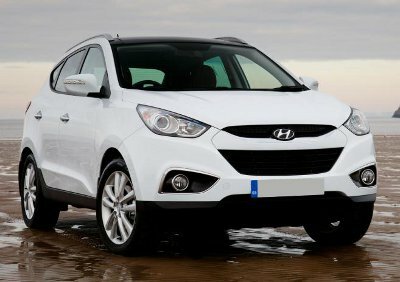 I am impressed with the performance of the Hyundai iX35 Keyless entry and a push button fire up the engine. It has a fairly willing 1.7 litre 4-cylinder 16 valve CRDi diesel engine linked to a smooth six-speed manual gearbox. Get it while it’s hot: the 2013 Hyundai IX35! Named “Honest Johns Car Of The Year 2013” the Hyundai IX35 certainly has a lot to offer and a great spec. We have offers on both the Style and Premium models.